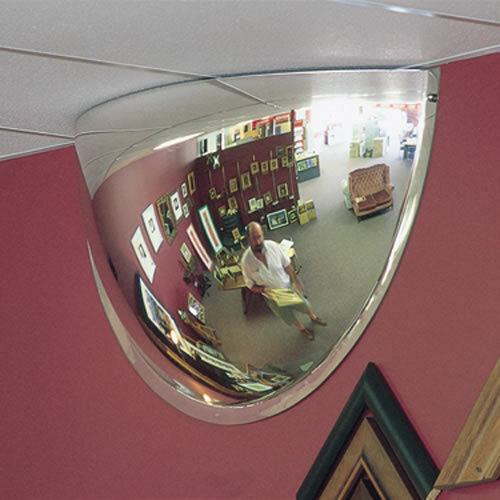 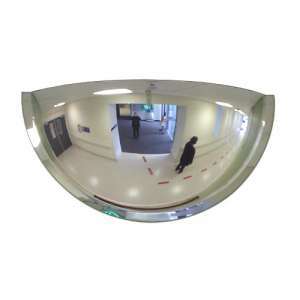 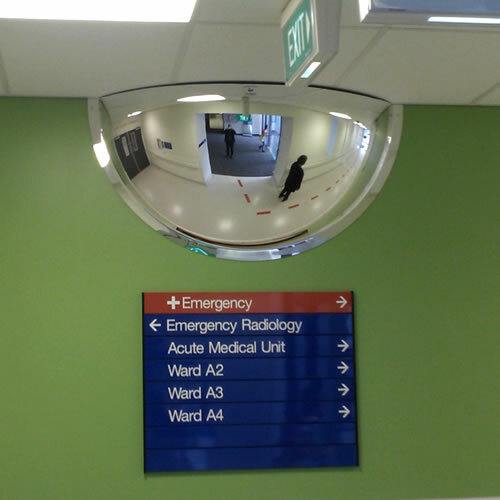 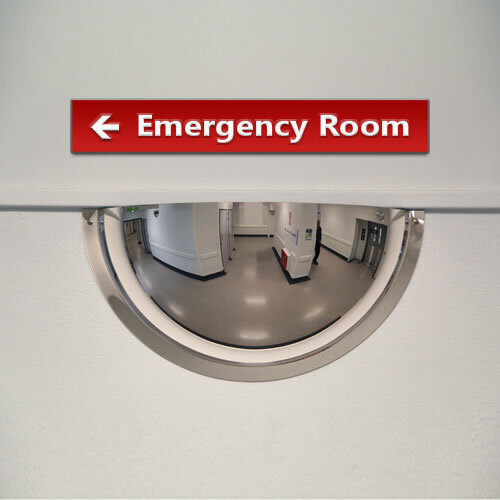 The 36" wall mounted half dome mirror is the most effective convex mirror to enable 180o views in either direction at T-Intersections and corridors. The wide angle allows vision both left and right and is ideal at the end of corridors and retail aisles where shelving can create blind spots. 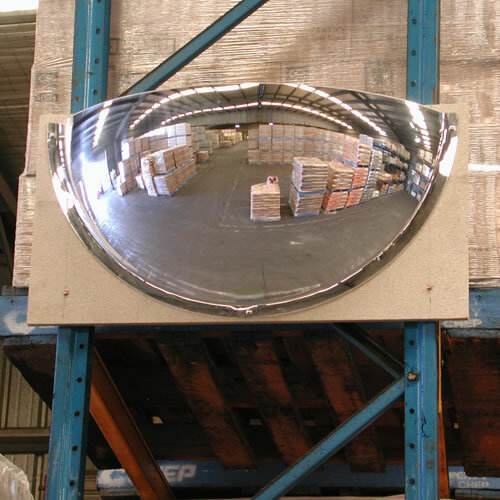 The Half Dome mirror is mounted to the wall with the supplied dome capped screws and is essential for store surveillance above shelving. 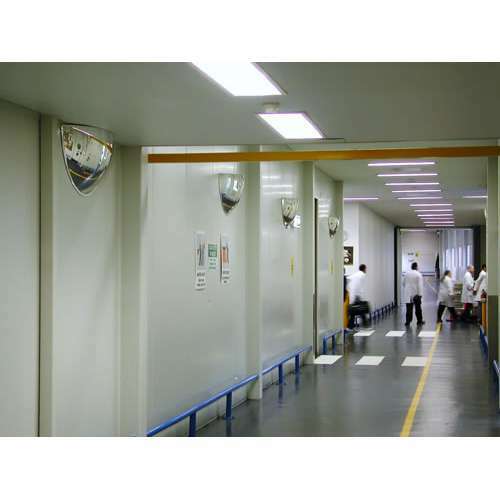 Especially useful in busy corridors such as hospitals, schools, warehouses and factories so that the risk of an accident is greatly reduced.